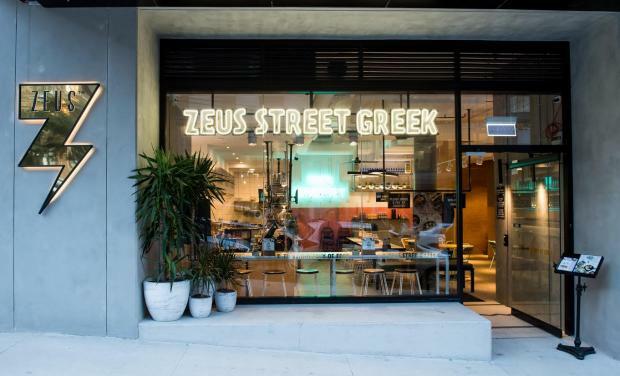 Zeus Street Greek's new store will be located at 69-81 Foveaux Street in the heart of Surry Hills. The opening marks the brands ninth store in Sydney and 14th across Australia. Zeus Surry Hills combines modern Greek street food with the best of Australian produce in a relaxed contemporary environment. The design melds art deco inspired geometry and bold shapes with 3D finishes adding warmth and vibrancy to the space, countering the exposed brick work and raw stone finishes.